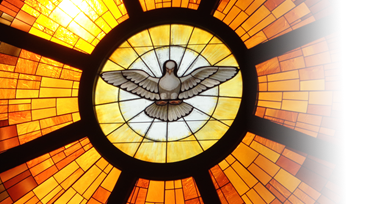 At Pentecost, the apostle Peter exhorted everyone to receive the promise of the Holy Spirit: “For the promise is to you and to your children and to all that are far off, every one whom the Lord our God calls to him” (Acts 2:39). We who have been baptized have received the Holy Spirit. The same Holy Spirit who raised Jesus from the dead lives in us! How do we respond to His presence within us? What does our relationship with Him look like? How are we using the gifts that He has given us? Just as we cultivate relationships with those whom we love, we need to cultivate our relationship with the Holy Spirit. 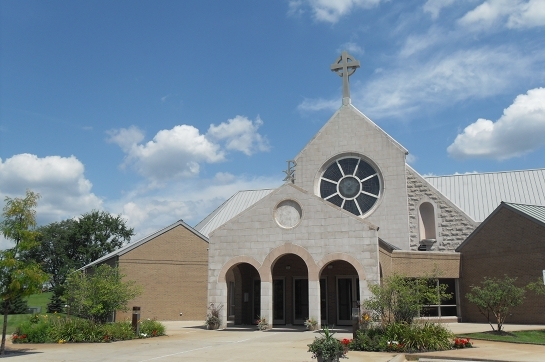 Upper Room was formed when Christ the King Catholic Church’s Spiritual Life Commission asked us to cultivate the life in the Holy Spirit of the parish. 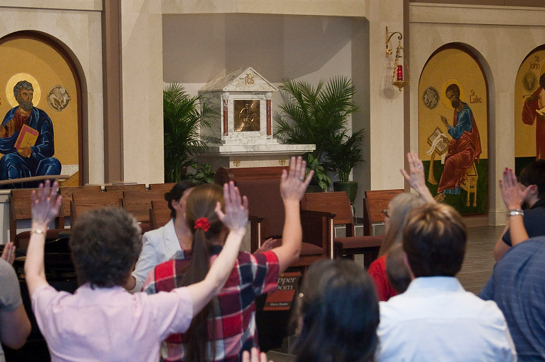 Our purpose is to “foster life in the power of the Holy Spirit under the lordship of Jesus Christ in the love of the Father through weekly Friday night events, including the Holy Sacrifice of the Mass, charismatic prayer, teaching, music, fellowship and service. 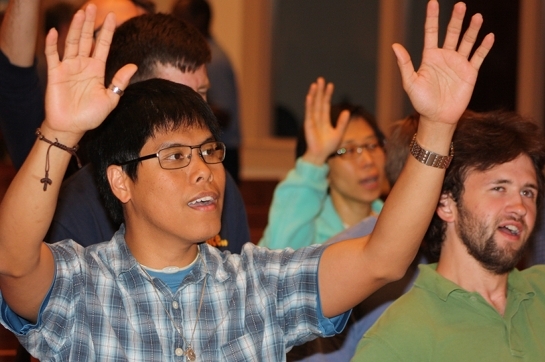 Responding to St. John Paul II’s call for a new evangelization, we aim to equip people to become effective witnesses to the Gospel” (from the Upper Room Vision). Being equipped and witnessing to the Gospel are not incidentals; they are essential. 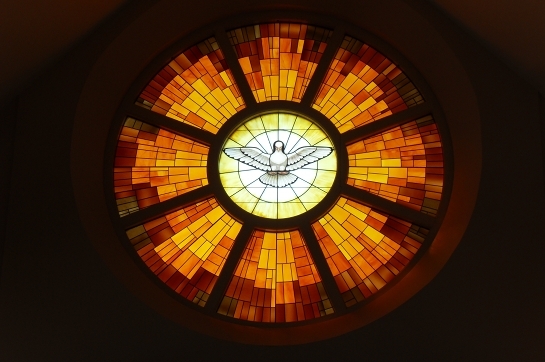 The Catechism of the Catholic Church states, “The Holy Spirit, whom Christ the head pours out on his members, builds, animates, and sanctifies the Church” (CCC 747). This is the mission for which the Holy Spirit has been given to us: to build, animate and sanctify the Church. With all this in mind, we fasted and prayed about how to develop this at CTK. We discussed what we sensed the Lord saying, and soon found our plans revolving around the model of the early Church. “They devoted themselves to the apostles’ teaching and fellowship, to the breaking of bread and the prayers. And fear came upon every soul; and many wonders and signs were done through the apostles” (Acts 2:42-43). 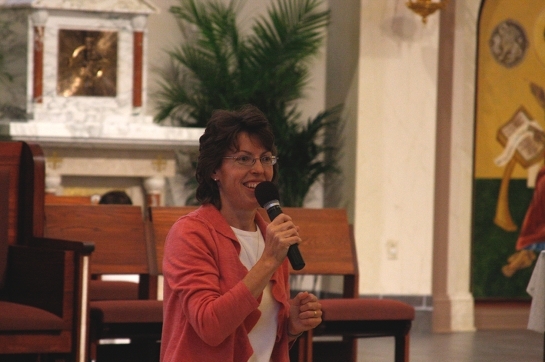 Soon our Friday night line-up of Mass, classes, dinner & fellowship, and Praise & Worship came together. And yes, we fully expect to see “many wonders and signs.” Check out our Testimonies page to see a sampling of what the Holy Spirit has already done. This website and this blog in particular are an outgrowth of what is happening on Friday nights. Every 1-2 weeks we will post new blog articles about the Holy Spirit, the charismatic gifts, and being equipped for evangelism. We pray that your faith will be strengthened through them. We would love to hear your thoughts as well, so feel free to comment on the posts. Special thanks to Brian Hildebrand for building this website from scratch. Brian, thank you for sharing your gifts with us so generously! We invite all parishioners of Christ the King and anyone else who would like to grow in the Holy Spirit to come to Upper Room on Friday nights.